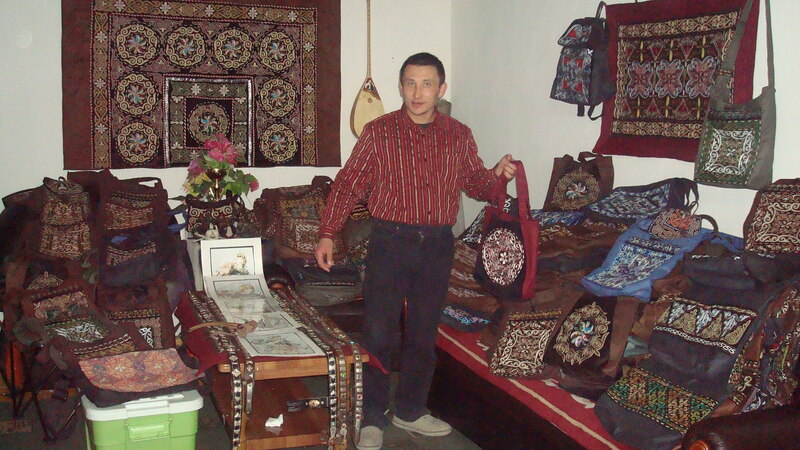 Maker of beautiful handmade traditional Kazakh crafts since 2007. 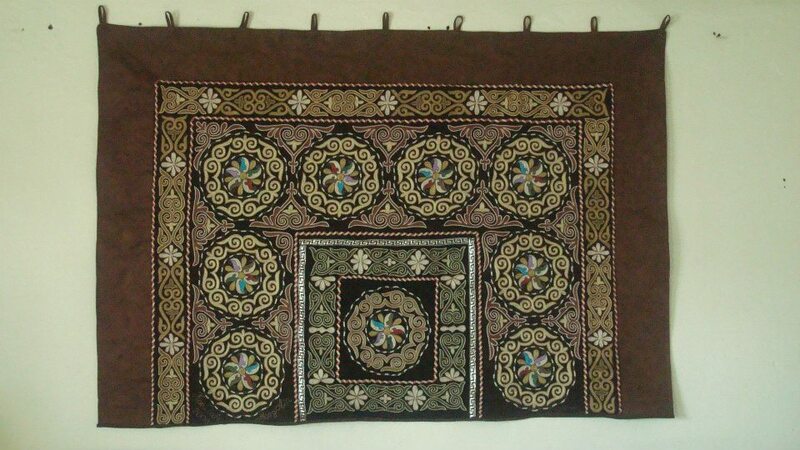 Kazakh Craft makes bags, pillow cases, wall hangings, wallets, and other hand embroidered products, as well as fur Kazakh hats and eagle hunter accessories. 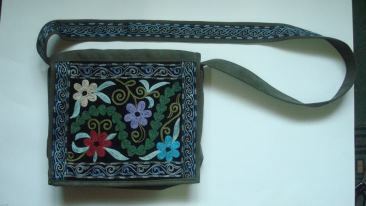 All designs are handmade by local women in Bayan-Olgii, Mongolia. Only the seams are machine sewn. 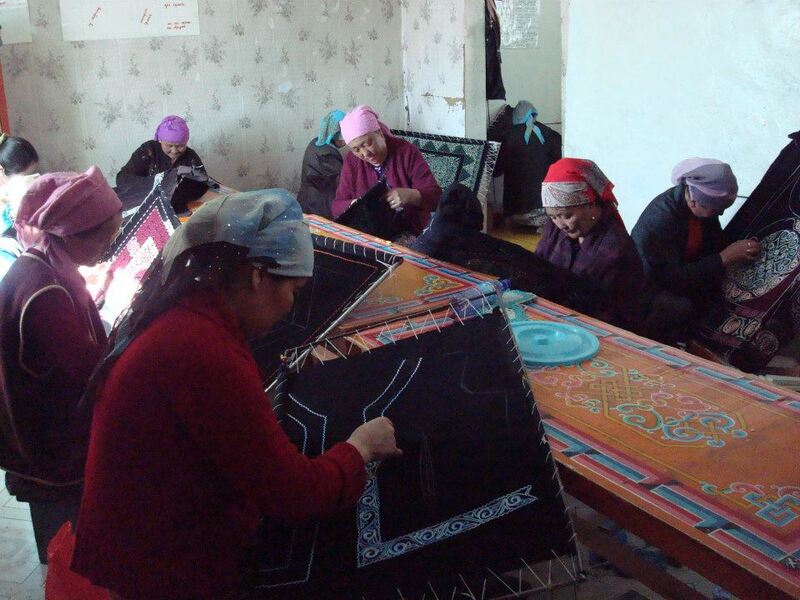 40 women produce the designs in their homes. Products are sold in retail stores Olgii and Ulaanbaatar in Mongolia, and Almaty and Astana in Kazakhstan. Please check out our products on the 4th floor of the State Department Store and the National Museum Gift Shop in Ulaanbaatar. Kazakh Craft aims to sell high quality products all over the world, and is constantly improving its quality. This year alone, they have upgraded the threads and added leather products to their catalog. We can communicate in English, Russian, Kazakh, and Mongolian. We can take individual and wholesale orders within Mongolia and wholesale orders (exceeding $200) outside of Mongolia. Please email or call about prices and availability. Shipping and quantity discounts available. Custom orders are available. Please contact to visit his shop in Olgii.